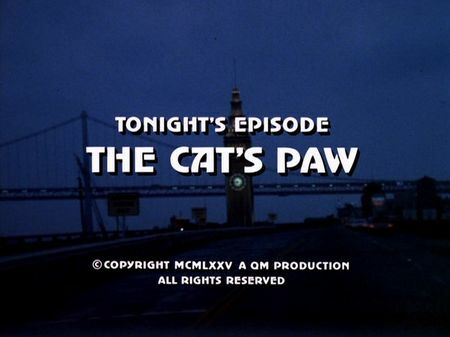 I have just added the screencaps for The Cat's Paw to the episodes' page. We are introduced to Inspector Irene Baker, of burglary department, who is involved in a romantic relationship with Mike Stone lately. When one of Irene's cases turns from simple jewelry theft into murder, Mike is assigned to partner with her - and things are soon turned up-side-down when Stone and Baker draw their (different) conclusions: Mike believes the burglar also is a killer, and Irene does not believe the murder fits the cat burglar's pattern. Steve - who, initially, is rather amused by Mike's preoccupation – soon learns that his partner is having more than just a simple love affair with Irene (it appears they are even proposed to each other, actually) and is really struggling with the dispute he is having with her over the case. Even Jeannie tries to help, but only the final solution of the crime seems to make space for a more relaxed atmosphere. It turns out that Mike was wrong - and Irene was right - and jealousy is the answer. Personally, I am pretty unhappy with this episode. First off, the film material used appears to be uncommonly coarse-grained which is really disturbing; another aspect is the romantic relations between Mike and Irene which is brought to us as a matter of course - but it does not really fit in the picture and appears as to be somehow taken out of context. The opening exterior shot of the (alleged) opera house actually pictures what is today the Ritz-Carlton on Stockton Street, whereas the interior sequence was in deed filmed in an opera house, namely the War Memorial Opera House, on Van Ness. Following the night scene on the roof top of the first crime scene, Mike and Steve are observing a suspect at Pier 45, followed by a chase, ending up with Mike jumping into the cold Bay waters in order to detain the bad guy. At night, Mike and Jeannie are preparing dinner, and Jeannie is somehow interested and amused when Irene knocks at the door. In the meantime, another burglary takes place, this time at 2200 Washington Street, a building used as filming location several times throughout the series. Mike drives Irene home (location unidentified), while Steve arrives to inform him about the latest case. The next day, Mike and Irene are teamed up, somehow against Mike's will, as he already smells potential problems. They are interviewing Mr. Greenwood in his apartment at 2200 Washington, and later moving down to Washington Square (where they are arguing for the first time). Their investigations lead them downtown to a loan shop on 6th Street, close to Market, and to a parking lot located at Broadway. Their arguing, by the way, starts to heat up again while visiting kind of a historical exhibition of unknown location. Tyrell's apartment is at 2200 Pacific Street, and the final nightly burglary (where the cat burglar rappels down the building's facade) takes place at another unidentified place, before Tyrell is booked after a chase throughout the area of her apartment. I would like to wish you and your beloved ones a Happy New Year and simply the best for 2017. Hope you have had a great Christmas time and got lots of nice presents. I will take some time off for the holidays, so the next update is due in two weeks with screencaps, extended summary and filming locations for The Cat's Paw. 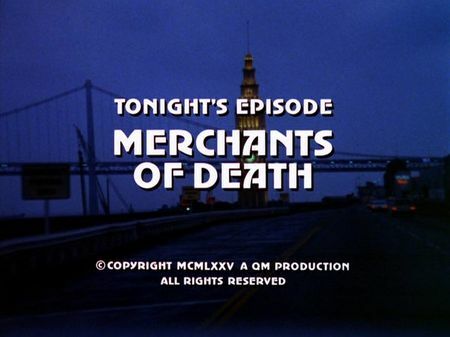 The screencaps for Merchants of Death are now available on the episodes' page. Rivalry between two street gangs is getting hot when the Dragons start poaching the Kingsmen's territory. It all happens close to a youth project by street worker Eddie Griffin, performed by famous Greg Morris, who intervenes in a dispute in order to calm down both sides. Giffin's intervention, however, cannot prevent that the Kingsmen's leader, Buddy Winston, stabs one of the members of the Dragons to death, initiating a death-feud. In the meantime, two young boys, Rudy and Billy, who are occasionally washing cars at Griffin's youth project, inconsiderately steel a wooden cargo box out of a pier building, and later discover that the consignment destined for South America contains machine guns and smaller firearms. In an effort to get some money, they are considering to sell off the weapons. Rudy is still unsure, and asks his father - a salesman for pharmaceuticals - if someone who sells something is still responsible for if another one is hurt by what he initially sold. Little does Rudy's father know what his son is actually talking about, so answering as the salesman he is, he neglects any responsibility for the original seller. Rather unintentionally, Rudy and Billy offer the guns to Buddy Winston which turns out to be a dangerous idea. Put under pressure by Buddy Winston, the boys are forced to sell the weapons to his gang, taking the street gang rivalry to a new level. While investigating the original murder case, Mike and Steve are soon pointed to Eddie Griffin's youth project but the rivalry is already close to escalation. Rudy is seeking a second opinion and asks Griffin, who smells a rat. Rudy tells him the whole story but it's all too late. When the young boy does not front up as discussed, Griffin immediately get down to the piers and finds Rudy smashed down on the ground with all weapons stolen - and he already knows who stole them. Winston and the Kingsmen are already setting a trap for the Dragons and another rival street gang, the Centurions, but when police arrives on the scene, Winston's buddies are checking out as no one ever wanted to go as far as their leader and war chief. In all his desparation, Winston even fires at Griffin and Steve, before his is booked by police and taken in custody. This episode is one of many in the series dealing with actual contemporary (social) problems - and is a real winner in my personal opinion. This episode guides us through old South Beach and Fisherman's Wharf. Griffin's car wash youth project is located in the heart of Fisherman's Wharf, right at Pier 45, where he observes the confrontation between the Kingsmen and the Dragons on a boat stage next to it. Although it is supposed to be in a walking (running) distance, the location of the crime scene (where Winston stabs down one of the Dragon's gang members) is far south in South Beach, the same goes for the warehouse in which Rudy and Paulie are hiding their capture as well as the location where Buddy Winston is chased by the Dragons. Rudy's house is located in the Marina, and Griffin later meets him at the Marina Green. We are also taken to South of Market when Rudy and Paulie are offering the stolen guns to Buddy Winston and his gang. Rudy meets Winston at the Marine Drive close to Fort Point, whereas Mike and Steve are on stake out in the Mission District. 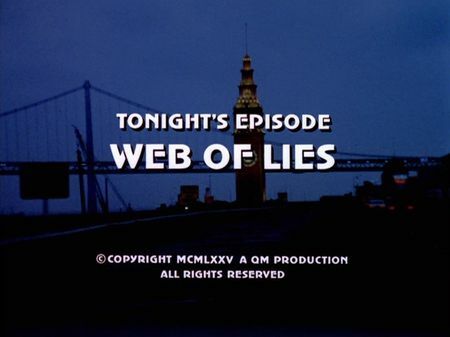 Following the attack by angry Buddy Winston, injured Rudy in treated at the former Presbyterian Hospital in the Pacific Heights, and on the final leg of this episode Griffin can convince Paulie to provide helpful info while they are talking at the Golden Gate Yacht Club, right before the Dragons as well as the Centurions are about to walk into the trap underneath the freeway ramps in South of Market again. 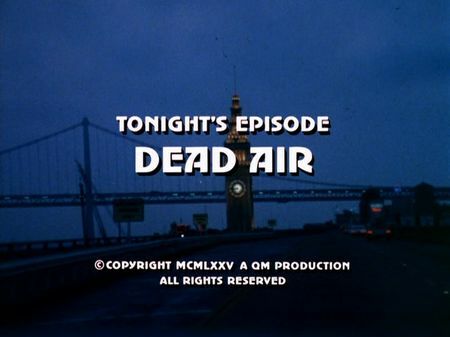 I have just added the screencaps for Dead Air to the episodes' page. A young pregnant girl is found murdered in her apartment. Information provided by a friend who lives next door to the victim lead Stone and Keller to radio host and lady slayer Terry Vine, who has a famous radio live talk program on women's needs. Vine, however, is a rather arrogant narcissist who is interested in his own career and money only, even unable to realize his long-time secretary Penny feels much more for him than just a professional affinity. Vine's relationship to the daughter of a wealthy media tycoon, Mr. Tyler, and his negotiating skills are just about to grant him a huge six-digit contract with one of Tyler's radio stations in Los Angeles but things are getting troublesome when another young girl who tried to blackmail Vine is also found dead. Following an attempt on Vine's and Barbara Tyler's life, he can even increase the contractual salary with Tyler's company, but Barbara starts to realize what kind of man Vine really is. In the end, love turns out to be the lethal motive in this case - and in all his arrogance, and with a little 'help' from his long-time and loyal sound engineer Frank, Vine finally uncovers his real character and buries his future career forever. This is one of my favoruite season four episodes, starring Larry Hagman who delivers a great performance, and an attracting dramatic plot. Only a handful but rather tough-to-identify filming locations were used for this episode. First off, the initial crime scene (Sharon Farmer's apartment) is located between Buena Vista and Corona Heights Parks, whereas the Tyler mansion can be found in the Pacific Heights. Terry Vine's radio station ('KYOL93') is on Davis Street, and the car accident he and Barbara Tyler have following the bullets shot on her car takes place at the adjacent intersection of Davis & Broadway. Angela meets Terry at Hyde Street Pier, and soon after her dead body is found in her apartment in the Russian Hill District. Steve checks facts at a bank in the Financial District before things clear up, and the final scene was filmed at Walt's Diner at 7th and Townsend Streets which is a recurrent filming location (appeared in season two episode Winterkill already).